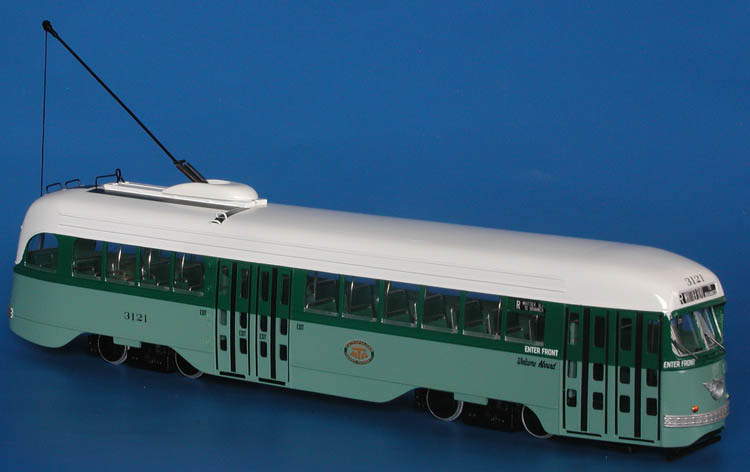 Model 1943/44 los angeles railway corp. st.louis car co. type p-2 pcc (job 1641; 3096-3125 series). 1943/44 Los Angeles Railway Corp. St.Louis Car Co. 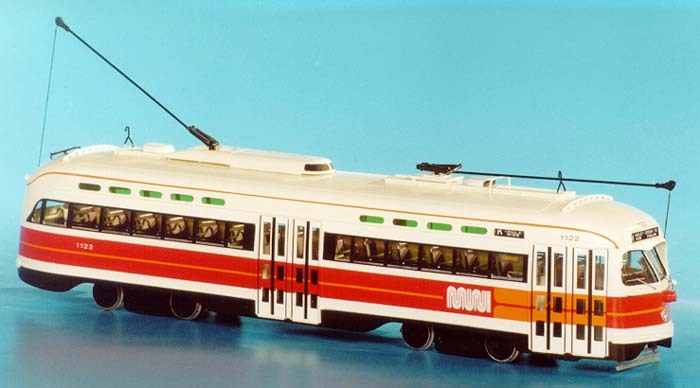 Type P-2 PCC (Job 1641; 3096-3125 series). 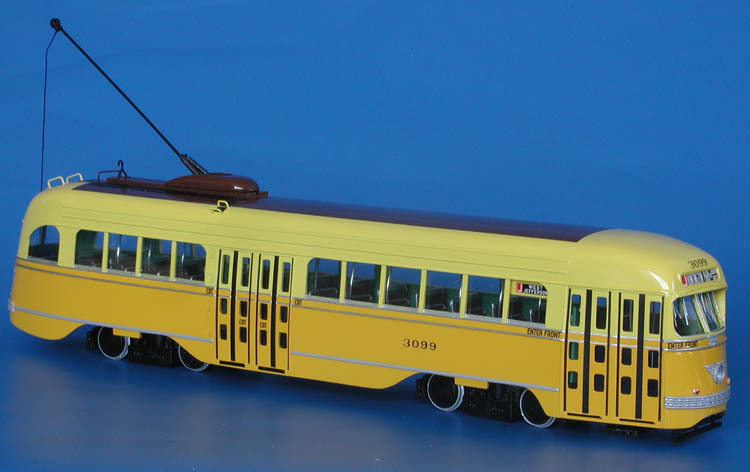 In May 1942 Los Angeles Railway Corp. placed an order to St.Louis Car Co. for 30 PCC cars, which were delivered between October 1943 and January 1944, known as 'War Babies'. The obvious external changes were moving of the center doors back one window space for better crowd circulation, drip rails were cut back to run from behind the front doors to the last window and new cars had a slanting windshield. They were numbered 3096-3125 and the P-2s were used in the same pool with the Ps. 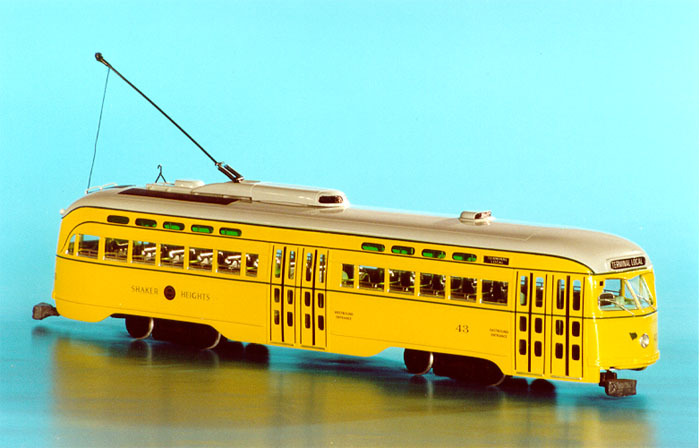 1948 Los Angeles Transit Lines St.Louis Car Co. 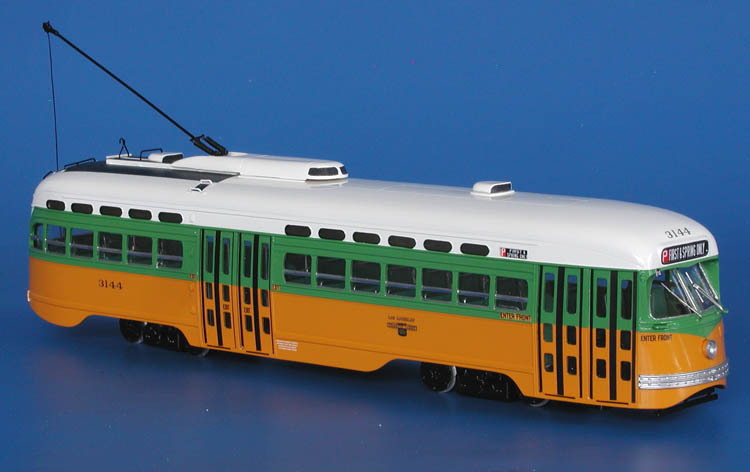 Type P-3 PCC (Job 1664, 3126-3165 series). 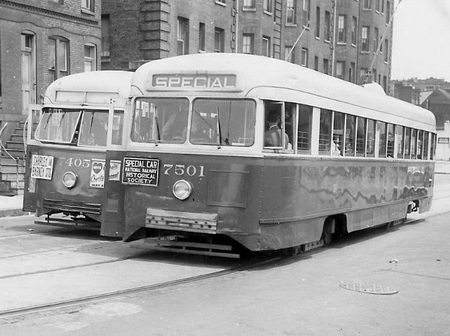 1939 Baltimore Transit Co. J.G.Brill Co. Brilliner 7501 - 2d livery. 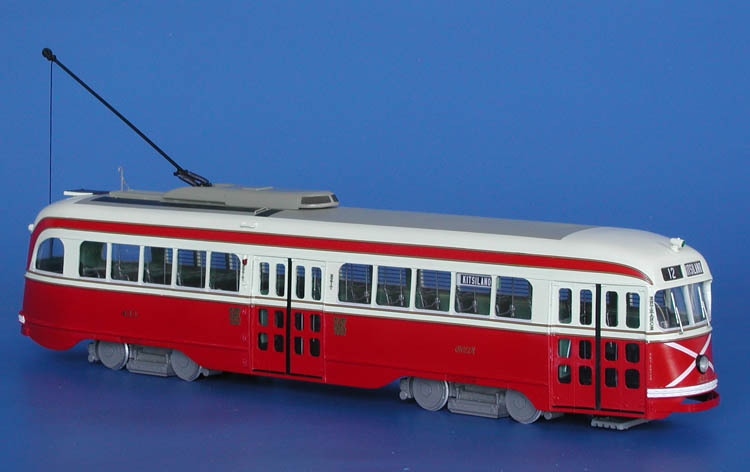 1944/45 British Columbia Electric Railway Co. Canadian Car & Foundry PCC (Orders 1555/1605, 404-435 series) - original livery.